CBD Oil Review rates the Rosette Wellness Brand with four stars because it qualifies for the Quality, Mission, Charity & Innovation Badges. After years of battling a life-threatening autoimmune disease, founder Harry moved his family to a farm to grow his own cannabis and replace his prescriptions. Decades of research and experimentation resulted in Rosette Wellness, his vehicle to share cannabinoid therapy with the masses. For now, one must reside in California to try these Emerald Cup-winning products, including CBD tinctures with different THC ratios. But we like what we see. If Rosette publishes CoAs proving their laboratory testing, they might just find a top spot on our list. Harry Rose has dedicated over 20 years of his life to cannabis research, a mission inspired by a difficult battle with autoimmune disease. After months of pharmaceutical treatments that didn’t work, Harry started growing his own hemp and making his own CBD oil. Due to Harry’s years of experimentation and research, Rosette Wellness now has an impressive breeding program with proprietary strains that contain staggering amounts of terpenes and cannabinoids. These are some elite hemp plants we’re talking about. The company formulates medical products but believes both the chronically ill and the recreational user deserve the most efficacious, quality cannabis products. Rosette Wellness promises that even the discriminating connoisseurs will be impressed! Their line is only available at medical dispensaries in California, and their customers include epileptic children, end-of-life individuals, IBS sufferers, animals, and more. All the Rosette Wellness hemp is sourced from an organic farm in Humboldt, California. Hemp flowers are put through proprietary ethanol extraction to create cannabinoid-rich hemp oil. These oils are sold in tinctures for humans and pets in various ratios of THC to CBD. 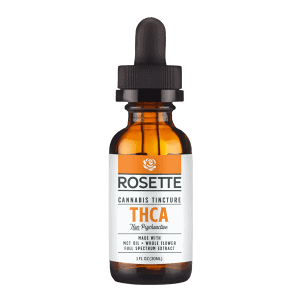 They also have a pure THCa tincture and pure CBDa tincture. CBDa is the “mother” compound of CBD and exists in the raw hemp plant. It is converted to CBD quickly through heat and processing, but will naturally become CBD over time. CBDa has not been studied as much as its progeny but is gaining attention for its similar natural benefits. Rosette Wellness donates to a different charity every month, and their products are based on more than two decades of observational data on humans and 10+ years on animals. They’re the real deal. The only thing they’re missing to receive a perfect score from us is current tests for purity and contaminants. 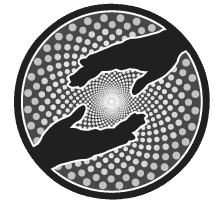 Bottom Line – Rosette Wellness checks nearly all the boxes of a top-tier CBD vendor, but remember, you can only find their products at medical dispensaries in California. Upon posting up-to-date independent lab results, we’d be happy to make them a five-badge superstar. 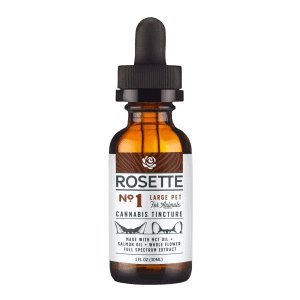 Rosette Wellness uses exclusively organic, sun-grown cannabis from California in their CBD formulations. 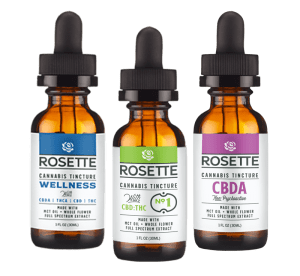 Rosette Wellness is committed to providing the highest quality, organic cannabis products to promote health and wellness in humans and animals. Rosette Wellness donates to California charities every month with their Charity of Choice program. 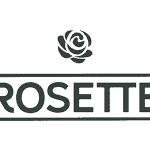 Rosette Wellness has developed a proprietary organic ethanol extraction method and has spent decades developing their proprietary cannabis strains on their farm.